MDC-Alliance deputy president Engineer Elias Mudzuri yesterday said the forthcoming opposition party's congress in May could split the party due to factional fights. MDC-Alliance, led by Nelson Chamisa, will hold its congress from May 24 to 26, but members are bickering over the conduct of elections and the posts to be contested at the indaba. In his first Tweet in a year, Eng Mudzuri delivered an ominous warning. "The coming MDC-T congress threatens to tear the party apart and jeopardise our chances of winning the 2023 elections, ruining the hopes of millions. Let's do what is right," tweeted Eng Mudzuri. "MDC-T must respect its constitution — remove fear & factional divisions to enable members to elect a leader that will unite us and focus on ending suffering in Zimbabwe." Contacted for comment over his Twitter post, Eng Mudzuri said he was in a meeting. The last time Eng Mudzuri posted something on the micro-blogging site was when he, together with Dr Thokozani Khupe and Nelson Chamisa, were jostling to lead the party, just before the death of the party's founding president Morgan Tsvangirai. Chamisa grabbed power following Tsvangirai's death, effectively splitting the party with Dr Khupe breaking away to lead the original MDC-T while the former joined forces with other opposition parties to form the MDC-Alliance. 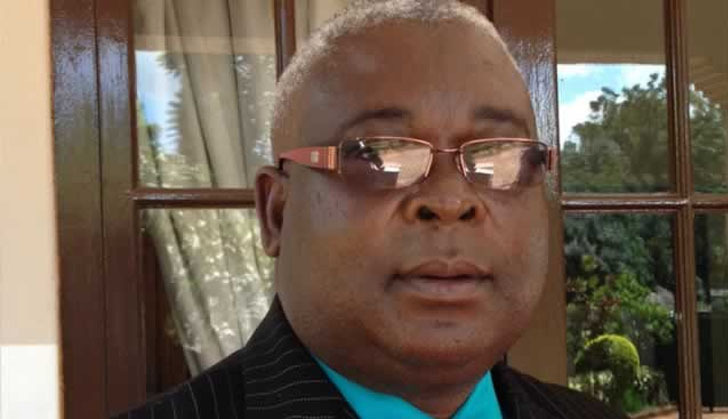 During that time, Eng Mudzuri said if Chamisa was to lose in the presidential election held in July last year, which he did, he would be challenged as the party's president during the party's congress. A rift has emerged as to what positions are up for grabs. According to The Herald, Chamisa's camp is saying only four will be contested, while secretary-general Douglas Mwonzora insists that all the 16 standing committee posts should be decided by the congress. Chamisa's camp, led by deputy national treasurer Charlton Hwende, has said only the posts of president, vice president, national chairperson and vice national chairperson would be contested. Hwende said this on his Twitter handle, drawing barbs from other members. Some party supporters said it was not tenable that influential positions such as secretary-general and organising secretary should be allowed to be decided by an individual or organ. They said doing so had the effect of undermining the ethos of democracy. The assertion that only four posts would be contested is also in sharp contrast with Mwonzora's views that all the 16 standing committee posts should be contested. Party spokesperson Jacob Mafume insisted that only four posts will be contested at congress while the remainder would be appointed by the president and the national executive council. "Only four posts will be contested in terms of the current constitution. If there is a different view that would be discussed as we approach congress but currently the constitution says only those four would be contested. With respect to the remaining posts, the president will appoint some while the national executive will appoint others. You will also reckon that posts like secretary general are mere administrative posts," said Mafume. While Mwonzora was not available for comment yesterday, he told Voice of America on Thursday that all the posts would be contested at congress. "The constitution says all posts will be contested by anyone who would have been nominated. What we do not know is who is contesting which posts. It is also important to note that now congress dates have been announced, needless suspensions of members should be put on hold. There are 16 standing committee posts and these are the positions that should be contested. The issue of how many posts would be contested came up in our last national council meeting recently and we agreed to refer to the constitution signed by (Morgan) Tsvangirai, we have since done that. So all the 16 posts should be contested," said Mwonzora.